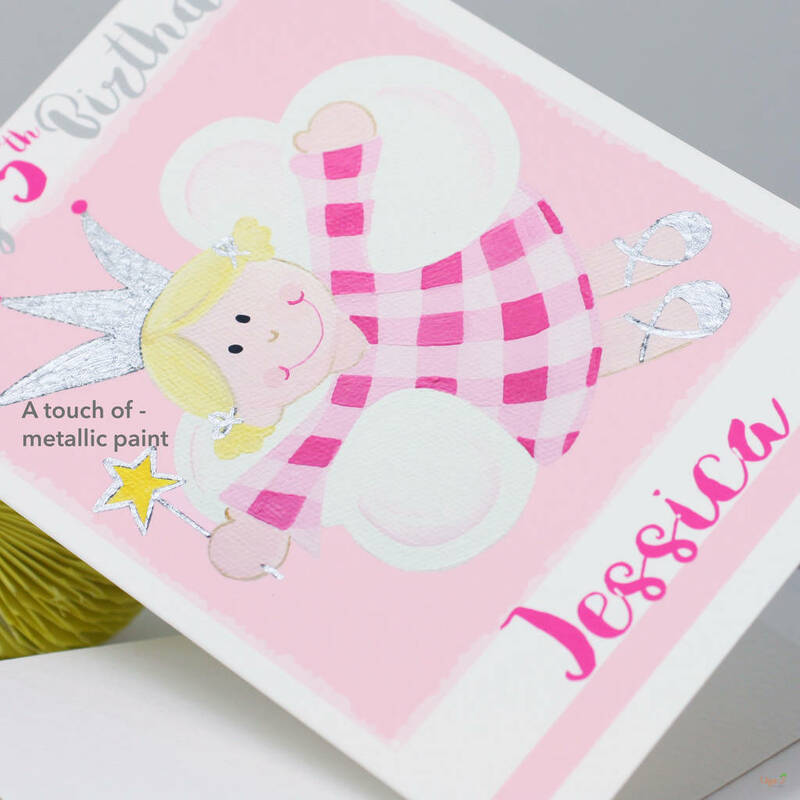 A fairy princess birthday card personalised with your choice of name and child's special birthday age and (if needed) relation. This greeting card would suit an occasion for a girl's special age birthday, their first, second, third birthday and so on and personalised with their very own name on the front. 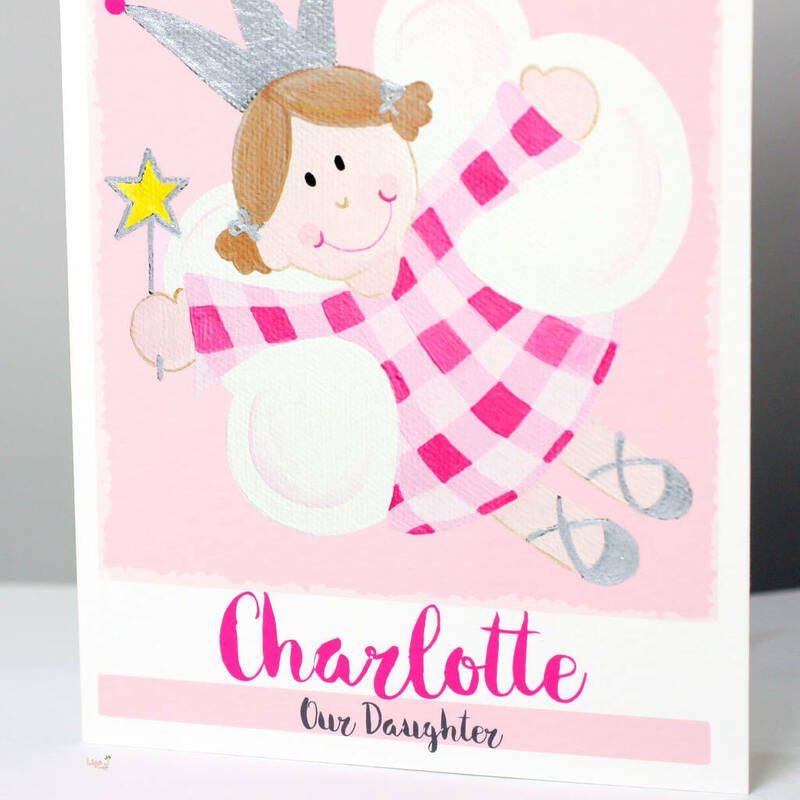 The card can be extra personalised for a female relation for a daughter, granddaughter, goddaughter, niece, cousin or friend. 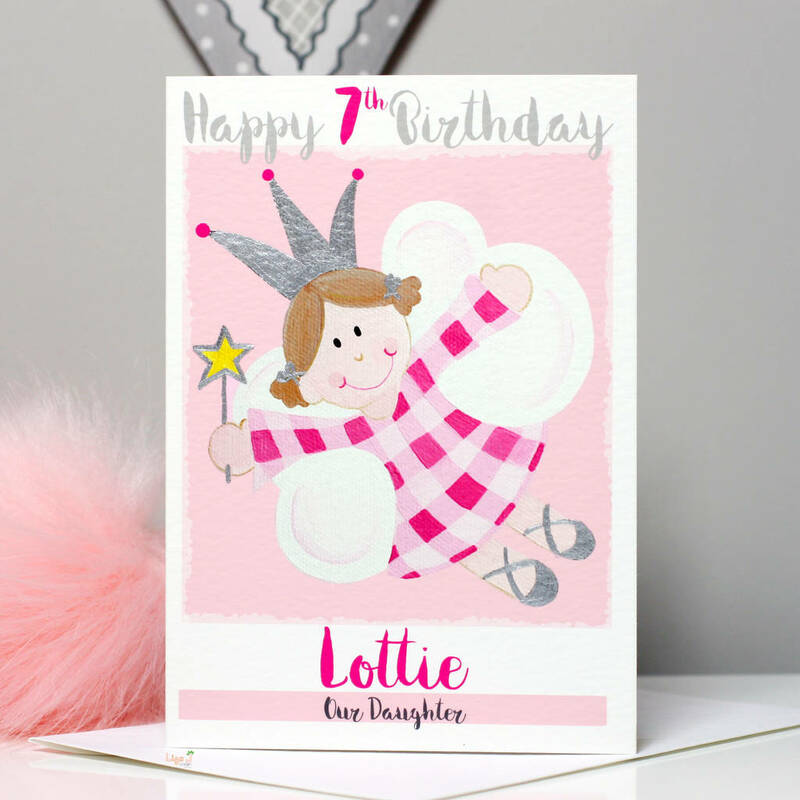 The card is hand finished with metallic paint detail. 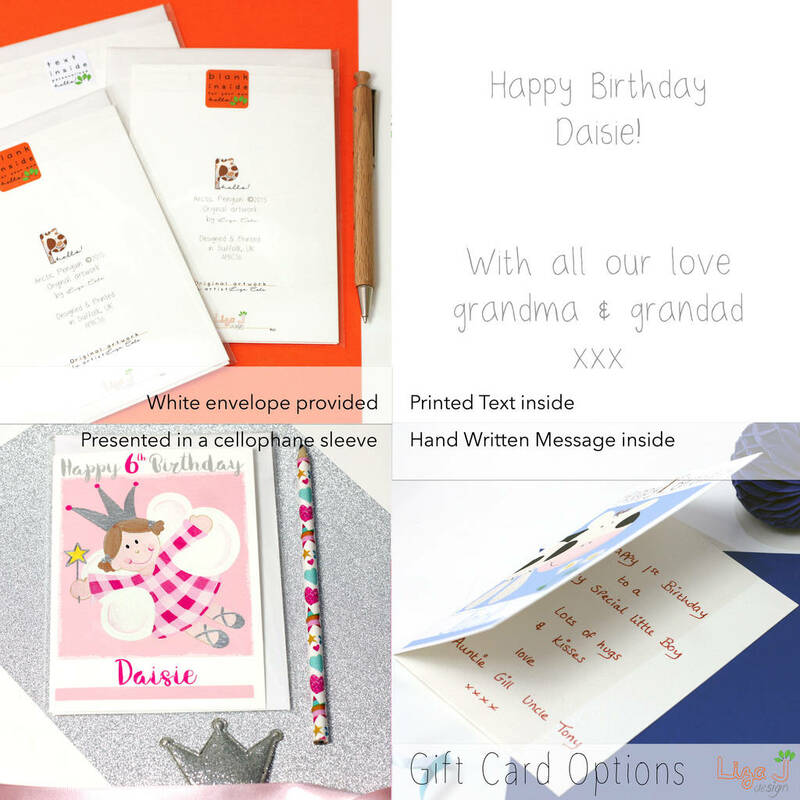 Specify hair colour (blonde or brown). 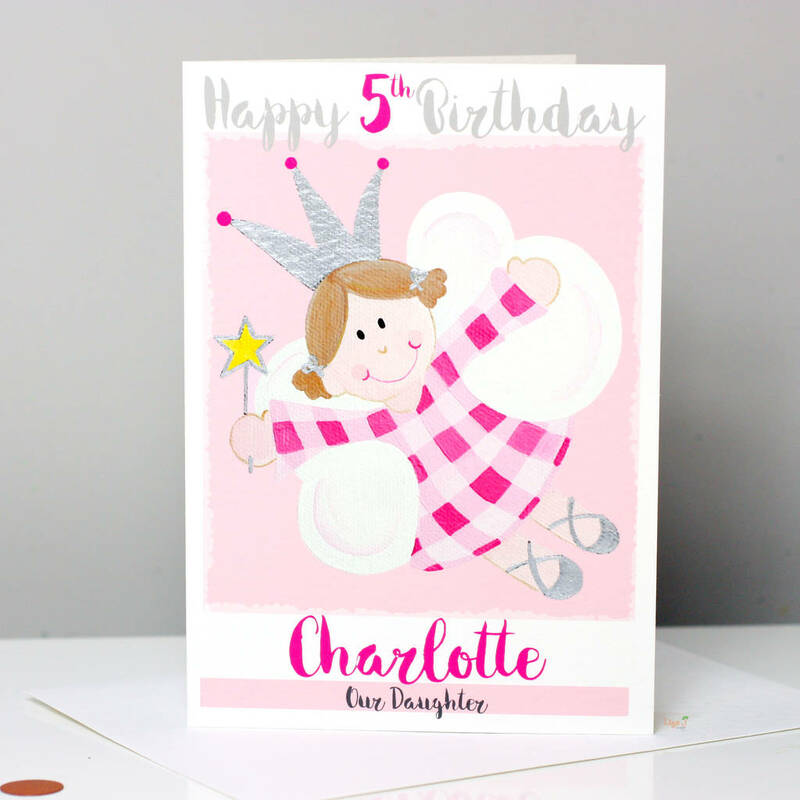 Hair colour shown for Charlotte is brown.